You’ve probably heard of 7 Habits of Highly Effective People, a book by Stephen Covey that delves into an aspiring leader’s journey to independence and independent thinking. But have you ever stopped and considered how to apply those habits to the fitness industry? 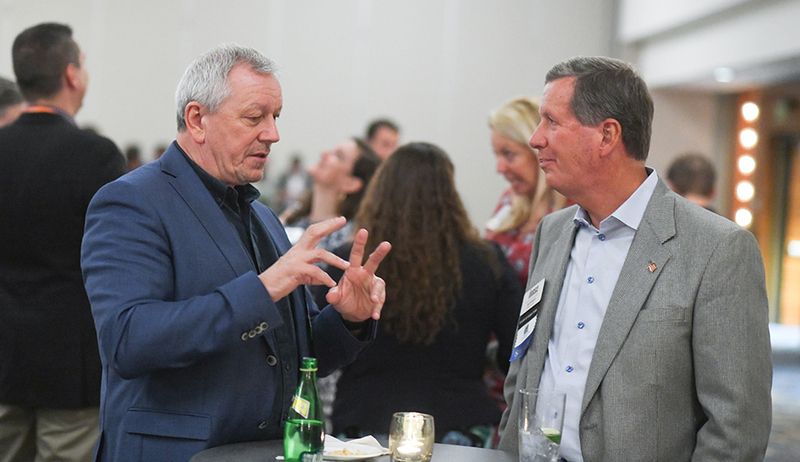 Stafford Hills Club Chairman Jim Zupancic has, and he shared his insights with those who attended his session at IHRSA 2018 in San Diego, CA, this past March. Zupancic, who had a personal relationship with the late author, discussed Covey’s first three habits of the critically acclaimed book. Throughout the presentation, he aligned these habits to the path of a fitness industry leader, explaining how directing your own personal and professional growth away from a dependent way of thinking starts with turning inwards. Finding the center of your influence and expanding upon that is the key to self-selecting leadership, he said. You must actually think about how you think and find motivation through learning for self-improvement. The core principle of 7 Habits of Highly Effective People is that if what we want is change, we need to change inside, instead of relying on external factors. Building a fundamental foundation of your personal values and goals will give you the base you need to adapt through your leadership journey. Here are some ways you can apply these habits to your personal and professional development, according to Zupancic. Ask yourself if you are establishing a purposeful culture at your club…or if your culture is just happening. In order to maintain the culture you want in your club, you must be proactive. You should train your staff to understand and implement your culture. The key is knowing that how your staff feels they are treated is how they will treat your members. People are motivated by feeling more than they are by thinking. Believe in people’s value and teach them that honesty is the best sales technique. Money follows when your motivation comes from a passion for purpose. In an unconventional approach, Zupancic advised the crowd to envision their own funerals to gather a perspective on how others may see them. He encouraged attendees to consider what others would be remembering them for, and what kind of legacy they would leave behind. “Is that consistent with the way you are running your life or business, today?” he asked. If it’s not, then it’s time to make a change. Write a mission statement for your health club. Identify—and communicate—the roles and goals that are critical to the cohesive success of your club. Administer a sense of priority, using a time management matrix; determine what is urgent and important, not urgent but important, urgent but not important, not urgent and not important. This exercise will help you make the best choices by foreseeing the consequences of those choices. Zupancic ended the session with a thought provoking question: If you could choose one thing to do that would create a substantial positive change, what would that one thing be? For fitness industry leaders, the sky’s the limit.